Editor's note: The opinions expressed in this blog post are solely those of the author. The Iroquois Confederacy, founded by the Great Peacemaker in 11421, is the oldest living participatory democracy on earth2. In 1988, the U.S. Senate paid tribute with a resolution3 that said, "The confederation of the original 13 colonies into one republic was inﬂuenced by the political system developed by the Iroquois Confederacy, as were many of the democratic principles which were incorporated into the constitution itself." The peoples of the Iroquois Confederacy, also known as the Six Nations, refer to themselves as the Haudenosaunee, (pronounced "hoo-dee-noh-SHAW-nee"). It means “peoples of the longhouse,” and refers to their lengthy bark-covered longhouses that housed many families. Theirs was a sophisticated and thriving society of well over 5,000 people when the ﬁrst European explorers encountered them in the early seventeenth century. 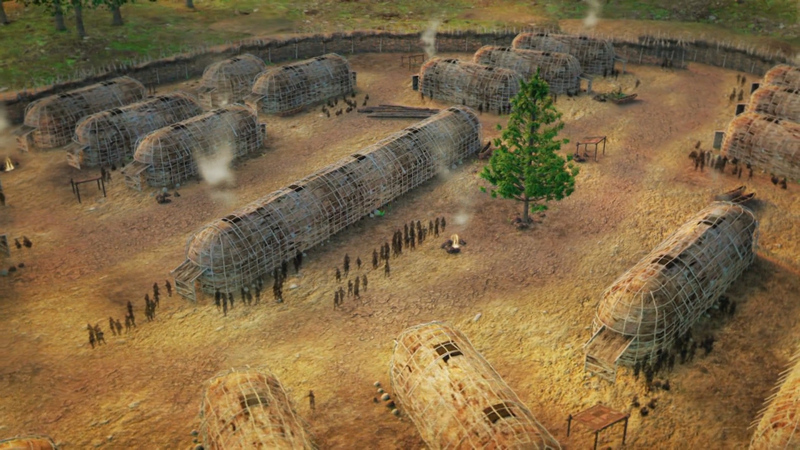 Graphic depiction longhouses in Haudenosaunee settlement. 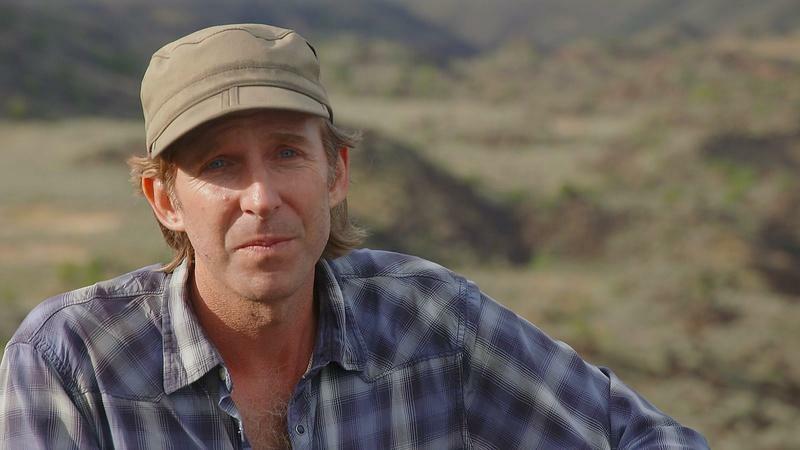 From Native America, Episode Two titled Nature to Nations. The Iroquois Confederacy originally consisted of ﬁve separate nations – the Mohawks, who call themselves Kanienkehaka, or "people of the ﬂint country,” the Onondaga, “people of the hills,” the Cayuga, “where they land the boats,” the Oneida, “people of the standing stone,” and the Seneca, “thepeople of the big hill” living in the northeast region of North America. 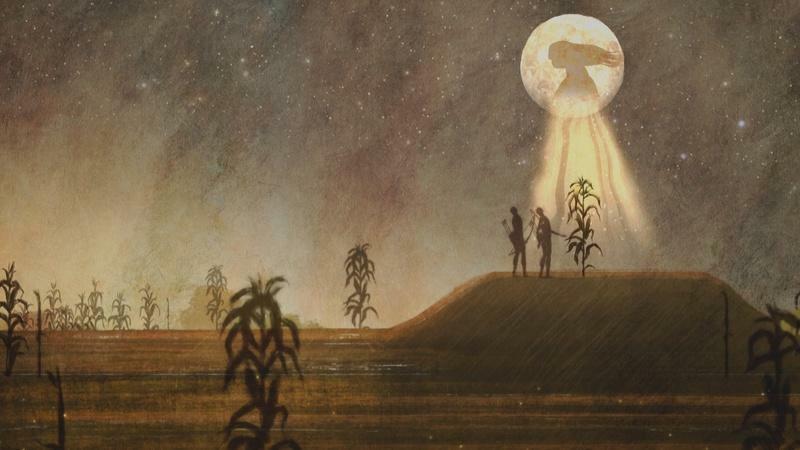 The Tuscarora nation, “people of the shirt,” migrated into Iroquois country in 1722. “The Great Peacemaker4 brought peace to the ﬁve nations,” explains Oren Lyons in a 1991 interview with Bill Moyers. Lyons is the faithkeeper of the Turtle Clan of the Seneca Nations, and a member of both the Onondaga and Seneca nations of the Iroquois Confederacy. At that time, the nations of the Iroquois had been enmeshed in continuous inter-tribal conﬂicts. The cost of war was high and had weakened their societies. The Great Peacemaker and the wise Hiawatha, chief of the Onondaga tribe, contemplated how best to bring peace between the nations. They traveled to each of the ﬁve nations to share their ideas for peace. A council meeting was called, and Hiawatha presented the Great Law of Peace. It united the ﬁve nations into a League of Nations, or the Iroquois Confederacy, and became the basis for the Iroquois Confederacy Constitution5. 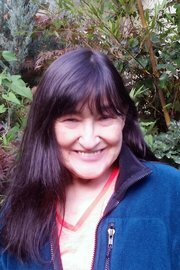 “Each nation maintained its own leadership, but they all agreed that common causes would be decided in the Grand Council of Chiefs,” Lyons said6. “The concept was based on peace and consensus rather than ﬁghting." RELATED VIDEO | Traditional Wampum Belts Marcus Hendricks continues the tradition of making Wampum beads by hand. 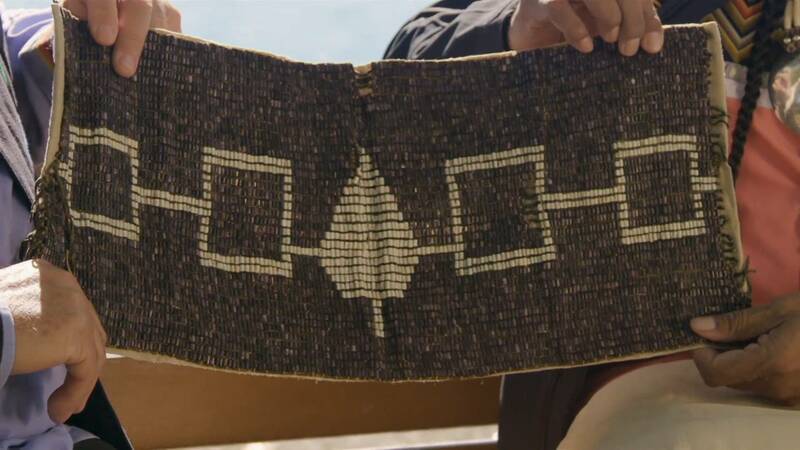 Their constitution, recorded and kept alive on a two row wampum belt7, held many concepts familiar to United States citizens today. Restricts members from holding more than one oﬃce in the Confederacy. Article I, Section 6, Clause 2, also known as the Ineligibility Clause or the Emoluments Clause bars members of serving members of Congress from holding oﬃces established by the federal government, while also baring members of the executive branch or judicial branch from serving in the U.S. House or Senate. Article I, Section 1, or the Vesting Clauses, read “All legislative Powers herein granted shall be vested in a Congress of the United States, which shall consist of a Senate and House of Representatives.” It goes on to outline their legislative powers. 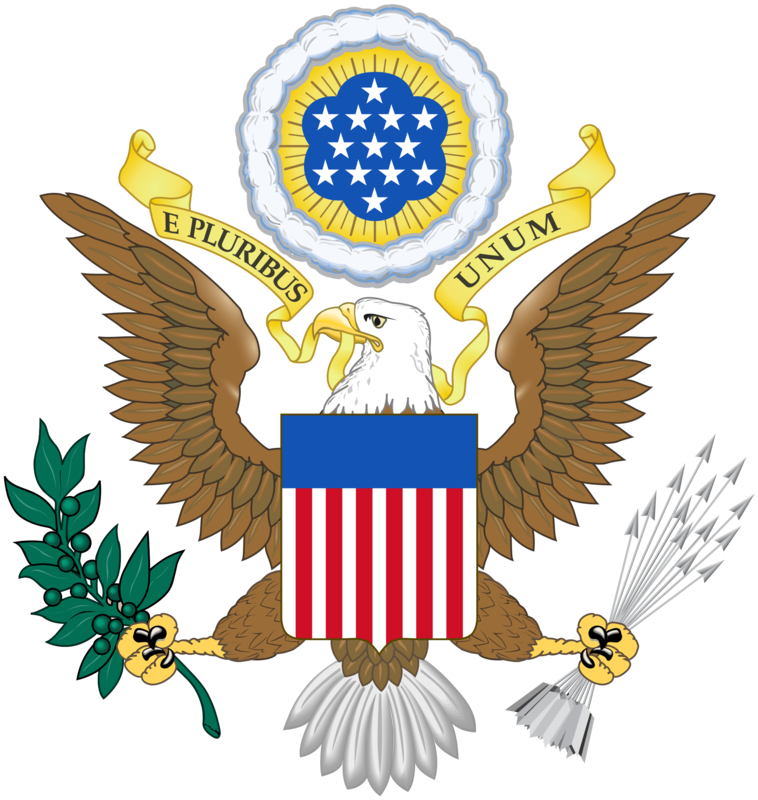 The diﬀering duties assigned to the three branches of the U.S. Government: Legislative (Congress), Executive (President), and Judicial (Supreme Court) act to balance and separate power in government. In 1744, the Onondaga leader Canassatego gave a speech urging the contentious 13 colonies to unite, as the Iroquois had at the signing of the Treaty of Lancaster. This cultural exchange inspired the English colonist Benjamin Franklin to print Canassatego’s speech. "We heartily recommend Union and a good Agreement between you our Brethren," Canassatego had said. "Never disagree, but preserve a strict Friendship for one another, and thereby you, as well as we, will become the stronger. Our wise Forefathers established Union and Amity between the Five Nations; this has made us formidable; this has given us great Weight and Authority with our neighboring Nations. We are a powerful Confederacy; and, by your observing the same Methods our wise Forefathers have taken, you will acquire fresh Strength and Power; therefore whatever befalls you, never fall out one with another." He used a metaphor that many arrows cannot be broken as easily as one. This inspired the bundle of 13 arrows held by an eagle in the Great Seal of the United States. Franklin referenced the Iroquois model as he presented his Plan of Union8 at the Albany Congress in 1754, attended by representatives of the Iroquois and the seven colonies. He invited the Great Council members of the Iroquois to address the Continental Congress in 1776. The Native American model of governance that is fair and will always meet the needs of the seventh generation to come is taken from the Iroquois Confederacy. The seventh generation principle dictates that decisions that are made today should lead to sustainability for seven generations into the future. And Indigenous nations in North America were and are for the most part organized by democratic principles that focus on the creation of strong kinship bonds that promote leadership in which honor is not earned by material gain but by service to others. In the plains, there was great honor in giving your horses to the poorest members of the tribe. The potlatch still practiced in the Paciﬁc Northwest is another example of voluntarily redistributing wealth to those who have the least. And the Iroquois? They continue to live under their own constitution and government. 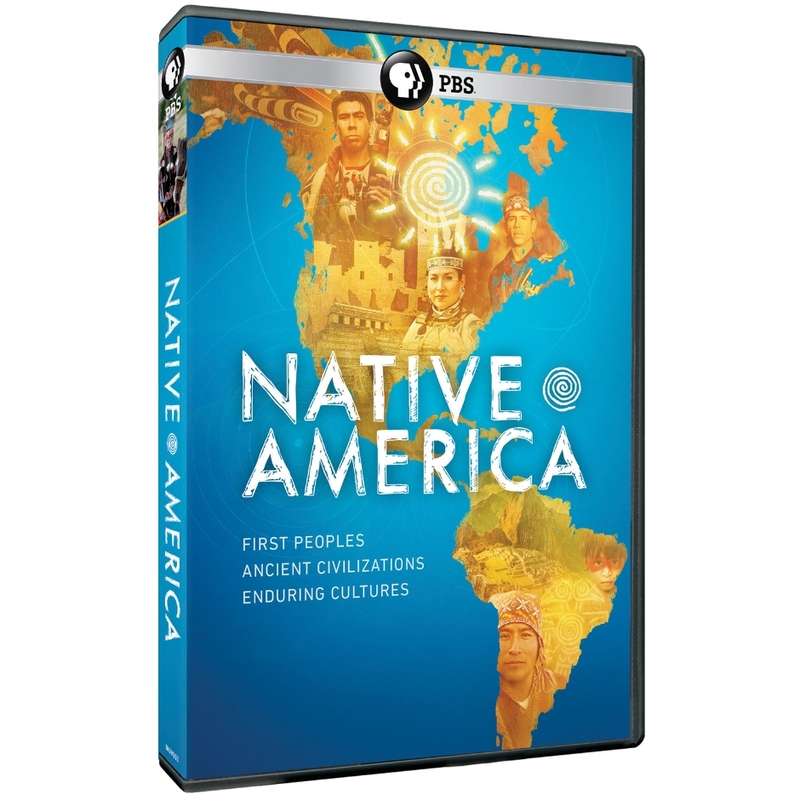 Their example sparked the spread of democratic institutions across the world, as explored in “Nature to Nations,” episode Two of this PBS series Native America.